Ever since Mary McCallum’s lovely poem Bidding featured in our Summer poetry card I’ve kept an eye on her blog to see what she’s up to. After reading this entry I emailed Mary to see if I could purchase a copy of her precious book. And tonight when I walked in the door at 5.00pm, with the southern light fading, there wrapped ever so carefully was The Tenderness of Light. 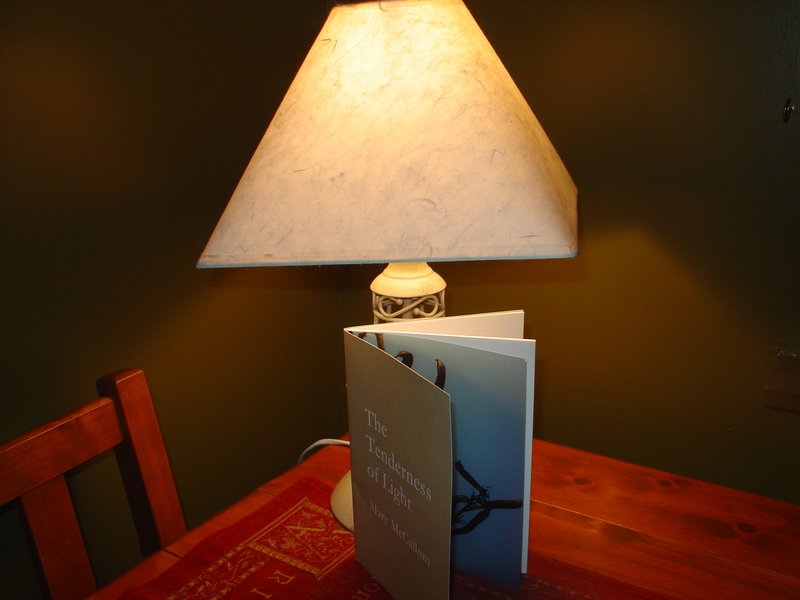 It’s beautifully printed, with a hand-sewn linen thread binding and inside a treasury of poems – a real work of art. I don’t know if there are many copies left so don’t muck about – if you want a copy make enquiries now! This entry was posted in Poetry and tagged Mary McCallum, The Tenderness of Light. Bookmark the permalink.